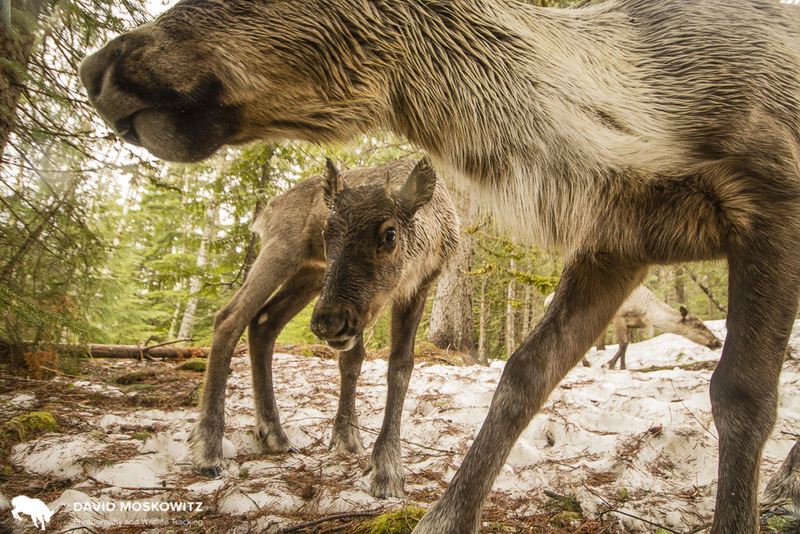 Join David Moskowitz, expert wildlife tracker, photographer, and author of Caribou Rainforest, Wolves in the Land of Salmon and Wildlife of the Pacific Northwest, for an evening of photos and stories exploring the world endangered mountain caribou and the last great inland temperate rainforest left on the planet. David and a small team of adventurers have been tracking down these rare creatures and documenting the stunning world they call home. Learn about the many challenges facing these beautiful creatures and globally unique ecosystem and the shifting focus of conservation efforts in face of 21st century challenges. Fewer than 15 caribou remain in the herd that crosses back and forth between the United States and Canada in the Pacific Northwest, while the entire population of this endangered population of caribou is now less then 1500 across their entire range which stretches north into central British Columbia. As their habitat is steadily altered and destroyed by human activity, herds across the entire range continue to decline despite a variety of conservation efforts. Why this is has to teach us about carrying for our planet’s natural heritage on both local and global scales.